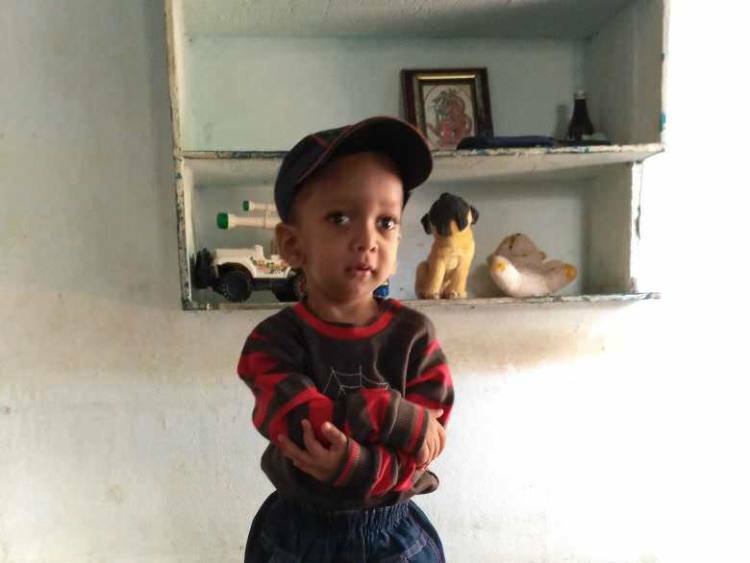 3-year-old Sathvik’s vision is rapidly diminishing. He can’t walk around on his own anymore, and on some days he can only see blurred objects. As the days go by, Nagesh and Sujatha’s worry for their son’s life is only increasing. Without an urgent bone marrow transplant, their only child will go completely blind and never overcome this debilitating bone disease that will slowly take over his entire body and life. “6 months ago, our normal, happy child suddenly started walking around the house by feeling things around him. He wouldn't walk without holding on to something. When we asked him, he told us that he couldn’t see because the lights in the house were switched off. We were so shocked. We didn’t know what to do. For months even the doctor couldn’t tell us what was wrong with him." - Nagesh, Sathvik's father. 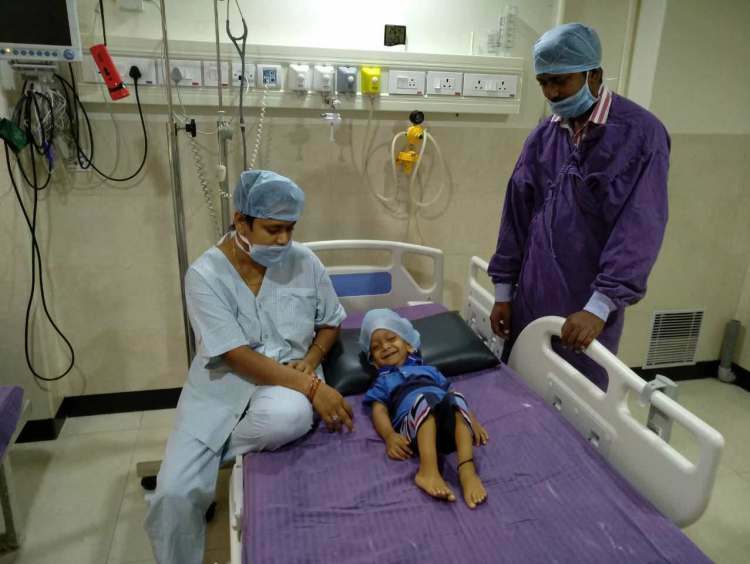 Sathvik has osteopetrosis, a rare disorder that causes the bones to harden and become dense. This not only causes low blood cell production leading to severe anaemia but also causes the bones to easily fracture. The disorder affects the functioning of the cranial nerve which causes blindness, deafness and facial nerve paralysis. The perils are endless for little Sathvik. Nagesh is a daily wage worker. With irregular work and income, he could do nothing but beg and borrow for his son’s treatment so far. 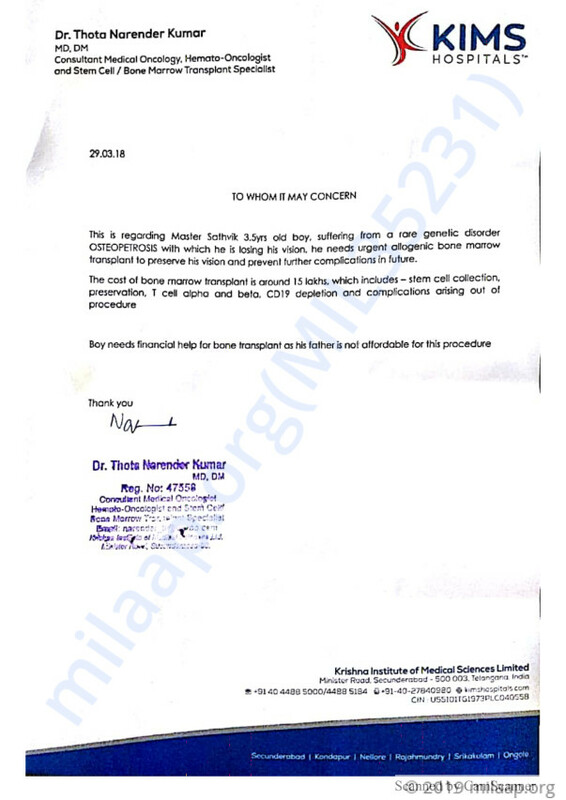 He has borrowed nearly 8 lakhs and can’t afford the 15 lakhs needed for the life-saving bone marrow transplant. Racked with sadness and guilt, Nagesh and Sujatha are desperate to save their only child. 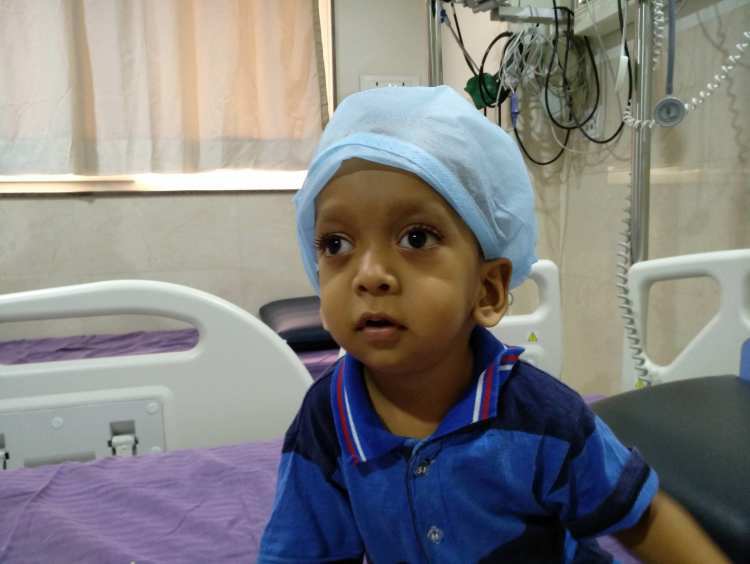 Sathvik needs an urgent bone marrow transplant to save his eyesight. He has a serious, debilitating bone disease. 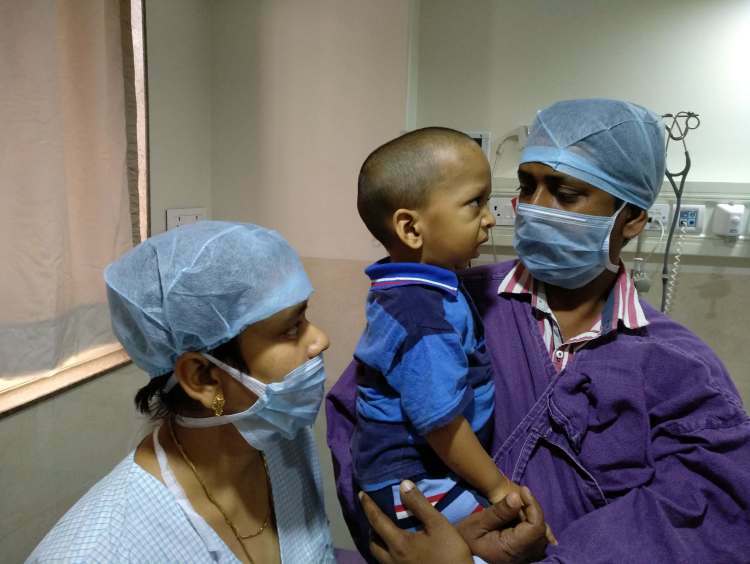 For months, Nagesh and Sujatha shuttled between hospitals trying to find a solution for their son’s condition. Although they’ve finally got some hope, the only thing that can save their son is much beyond their reach. 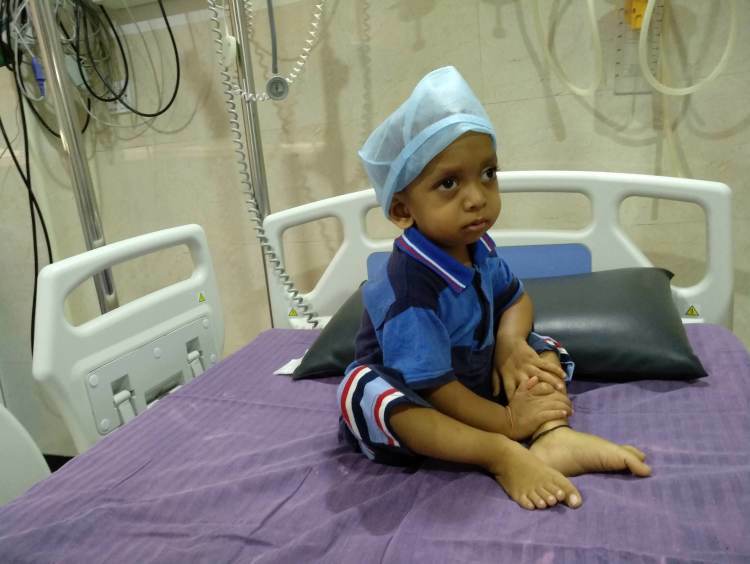 The treatment will save little Sathvik from spending the rest of his life in darkness. 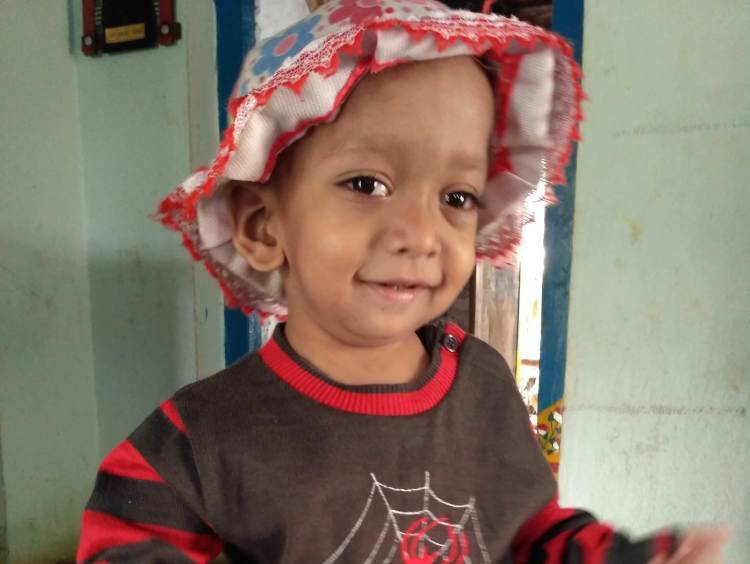 Your support will save Sathvik’s eyes and life. It gives us immense pleasure in informing you all that Sathvik is now doing better. He's advised to visit the doctor once or twice a week so the doctors can observe him closely. He is right now being treated for a viral infection. We shall keep you posted. Thank you for being so supportive! Thank you for the wonderful support that you have shown towards Sathvik. 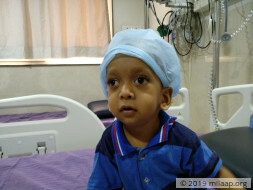 He is doing better now compared to earlier and has successfully undergone the bone marrow transplant. He is responding well to the treatment. He has developed a fever now and is currently under treatment for the same. Thank you all once again. Do share this campaign further with your friends and family and help them in raising funds towards his treatment. Will keep you posted. Here is a quick update on Sathvik's health. Currently, Sathvik is in the ICU and is being closely monitored by the doctors as his condition is still serious. He will be in the ICU for another 10 days. Once Sathvik is out of the ICU, only then doctors can decide the future course of action as per the progress. Will keep you posted about the same.